Hatchimals Nursery Playset Just $21.91! Down From $80! You are here: Home / Great Deals / Amazon Deals / Hatchimals Nursery Playset Just $21.91! Down From $80! Amazon has this Hatchimals Nursery Playset on sale for just $21.91 down from $79.99 PLUS FREE shipping with Amazon Prime or for orders $25 or more! 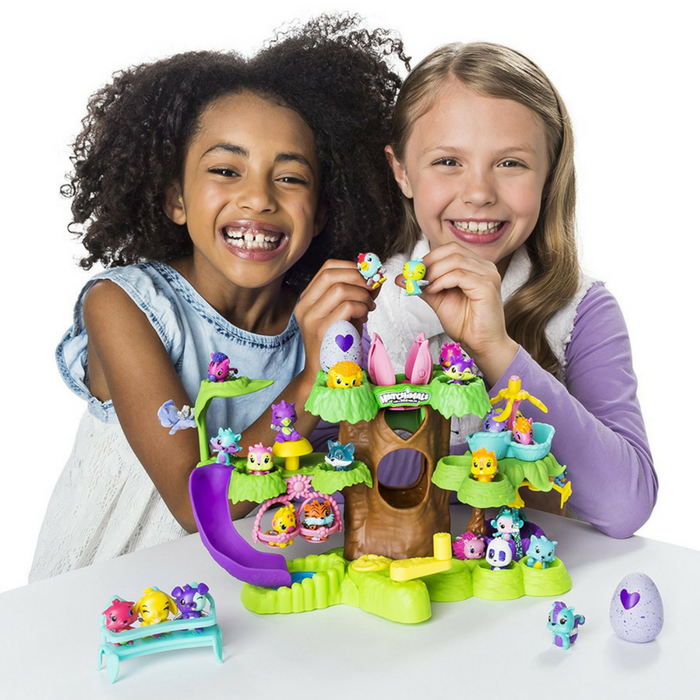 Hatchimal CollEGGtibles have a magical new place to play! Enter the Hatchery Nursery – an enchanted forest where you can hatch and care for your CollEGGtibles! In the middle of this whimsical playset, you’ll find the Hatching Tree! Use it to help hatch the exclusive CollEGGtible included in this playset. Place the speckled egg inside a secret flower, hidden deep inside the Hatching Tree trunk. Spin the yellow handle and you’ll see the flower carry the egg up, up, up! Once it arrives at the top of tree, the purple petals will open and your cracked egg will emerge! Finish hatching by pressing down on the shell. Now you have a new CollEGGtible! This is fun!